Join the team for 2020 NOW! Are you interested in being involved, if so come and join us. Everyone is welcome! Acting, singing, dancing, painting, hammering , writing, sewing, composing, gifting, musicianship, crewing, photography, filming, editing, blogging, marketing, making tea, coffee, cakes, fund raising, stage managing, first aid, health and safety, smiling, hugging, laughing, praying, sharing the gospel, or directing! ​The wonderful thing there is definitely something you can offer and we would love to have. Taking part in the 2015 Passion Play was significant for all of us. We give thanks especially for the dedication and sheer hard work of those who wrote it, directed it, sewed the costumes, rehearsed and acted in it, set the stages, managed the sound, and so much more. Now we need help to stage our production in 2020: and we are offering the opportunity for you to get involved. Whether or not you choose to participate actively, we would like to keep you informed about our progress and ask you to support us in prayer and financially. We have now received approval from the Inland Revenue to reclaim Gift Aid on all donations, including Friends subscriptions. 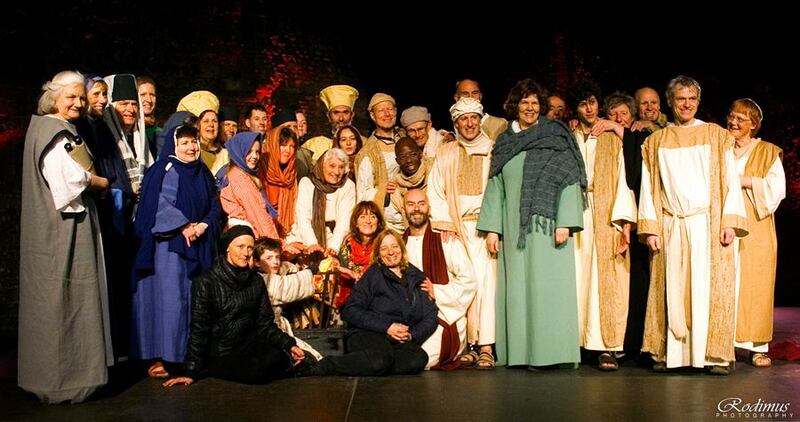 Please sign up to become a Friend of the Lewes Passion Play, and support us financially, either monthly or as a one off gift, any amount will be greatly appreciated. We will keep you actively informed of all that is going on.